The president has said as many as 15,000 forces may be dispatched to the border. 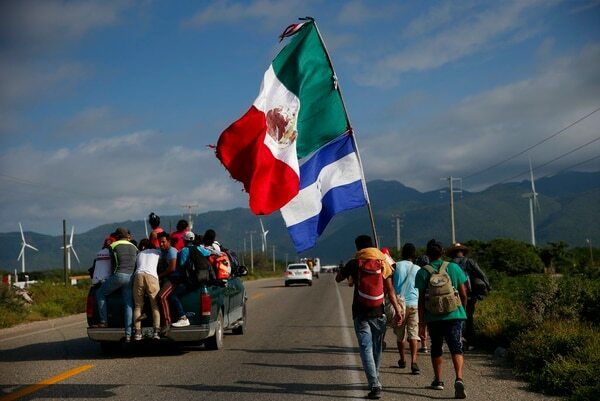 As caravans of migrants from Central America are slowly winding north, one group got into a violent confrontation with Mexican police at the border with Guatemala, throwing rocks. Trump appeared to refer to that conflict. He also said asylum seekers must go to ports of entry in order to make a claim. 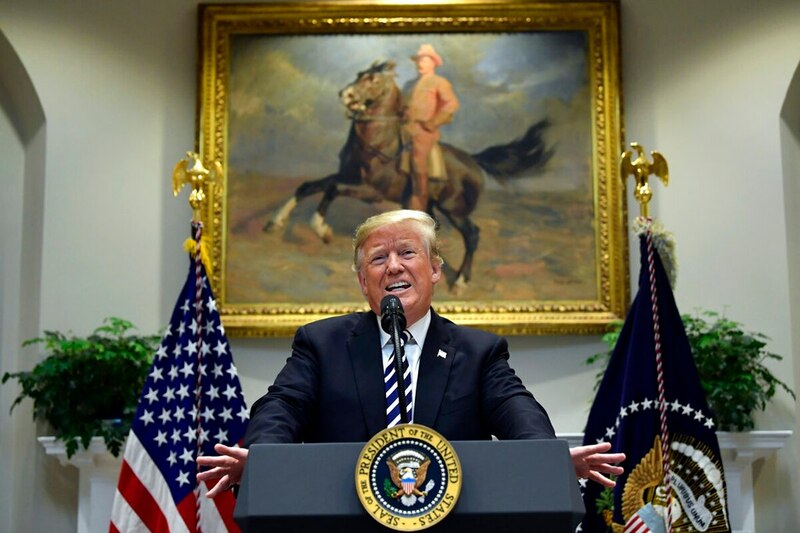 He promised an executive order sometime next week that would ban migrants from claiming asylum if they cross the border illegally, and would set up vast tent cities that would hold anyone coming over the border. U.S. immigration laws say migrants seeking asylum can do so no matter how they arrive at the U.S. Under the Immigration and Nationality Act, migrants claiming asylum are allowed to do so at the border crossings, but also if they cross illegally. A U.S. official says the first 100 or so active-duty troops have arrived at the U.S.-Mexican border, to provide support for border patrol agents. The troops are doing initial assessments at the port of entry in McAllen, Texas. An official says there are about 2,600 U.S. troops now at staging bases, largely in Texas, with several thousand more expected to flow in through the weekend and move into California and Arizona. The official spoke on condition of anonymity to provide details not yet released. An estimated 200 armed militia members are on the border and have stolen troops' gear in the past, DoD documents show. The Pentagon says more than 7,000 active-duty troops are being sent to the Southwest border, with more possible. President Donald Trump has said the number could reach 15,000. The caravan of migrants is still hundreds of miles from the border. — With reporting from staff writer Kathleen Curthoys.